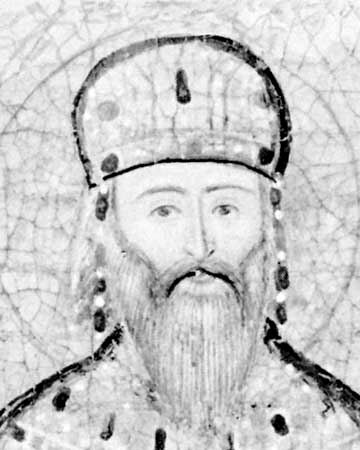 Manuel II was Byzantine Emperor from 1391 to 1425. Shortly before his death he was tonsured a monk and received the name Matthew. He was the second son of Emperor John V Palaiologos and his wife Helena. Manuel II stood on friendly terms with the victor in the Ottoman civil war, Mehmed I (1402–1421), but his attempts to meddle in the next contested succession led to a new assault on Constantinople by Murad II (1421–1451) in 1422. During the last years of his life, Manuel II relinquished most official duties to his son and heir John VIII Palaiologos, and went back to Europe searching for assistance against the Ottomans, this time to the King Sigismund of Hungary, staying for two months in his court of Buda.